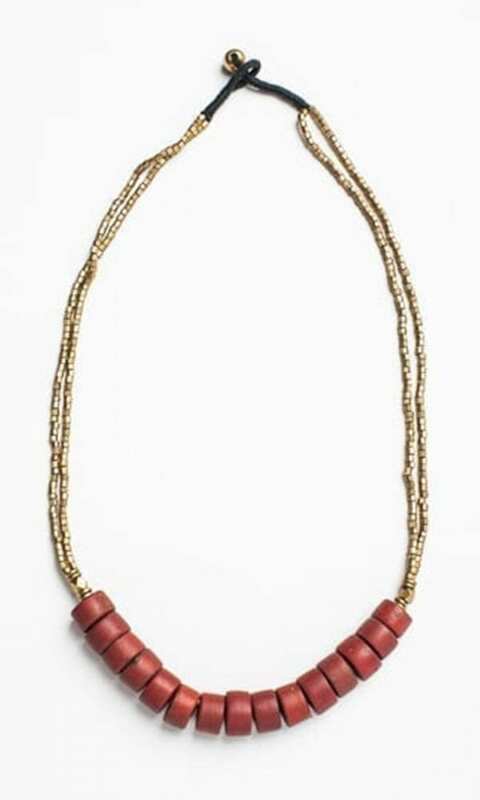 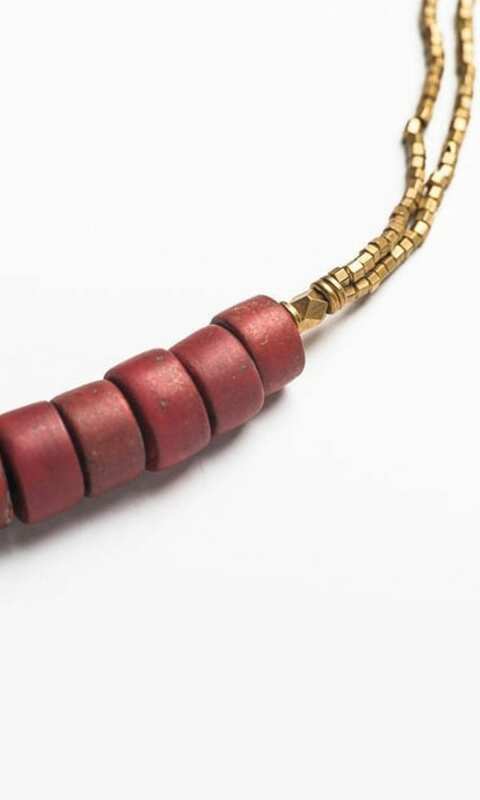 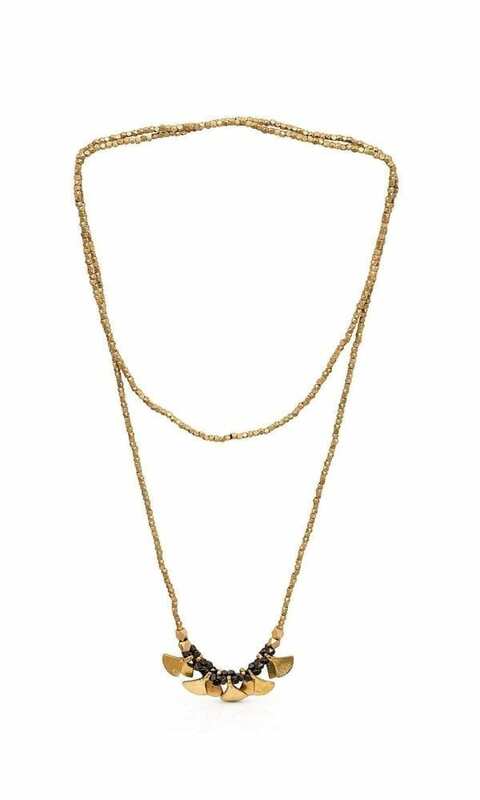 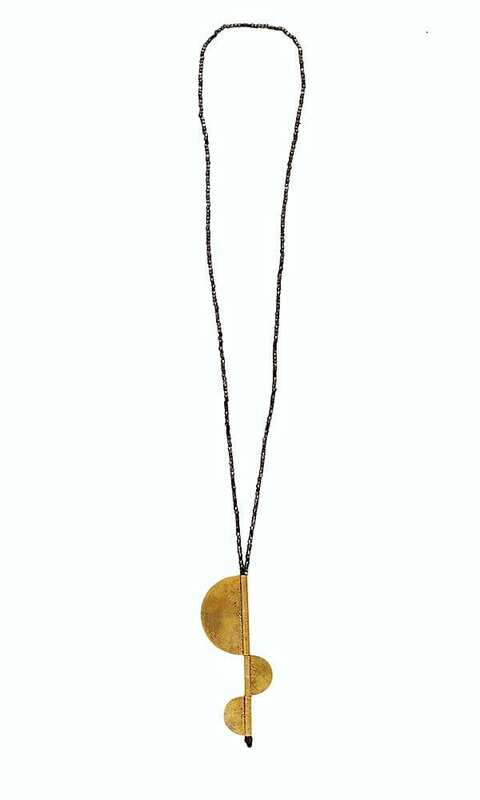 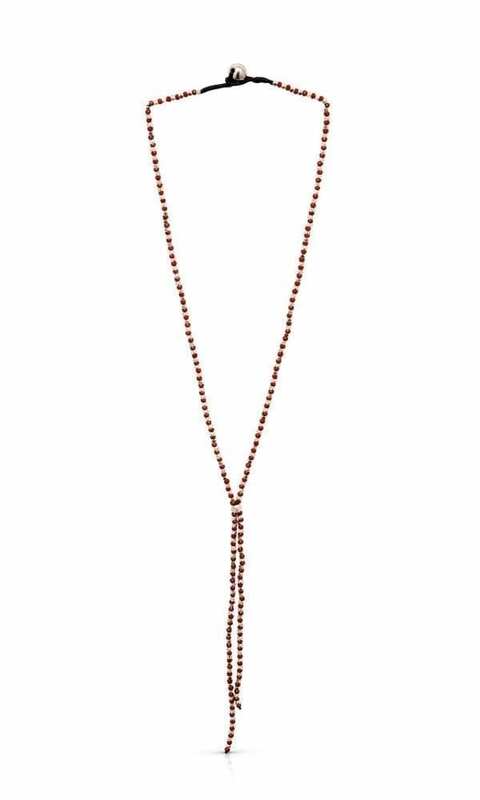 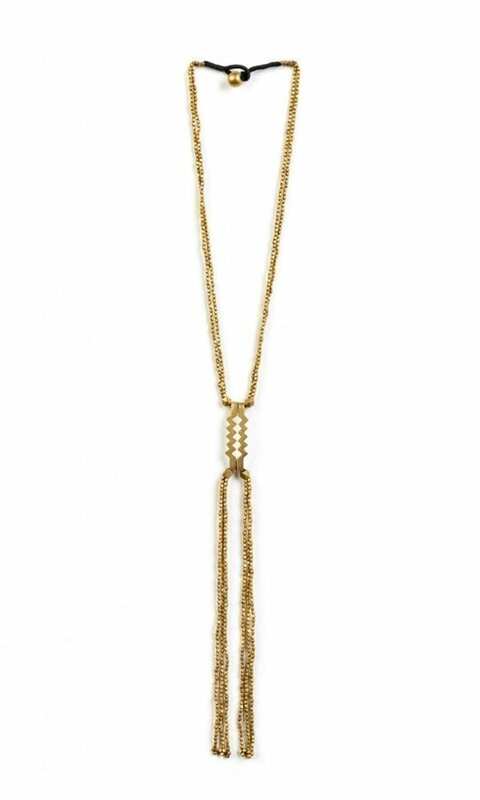 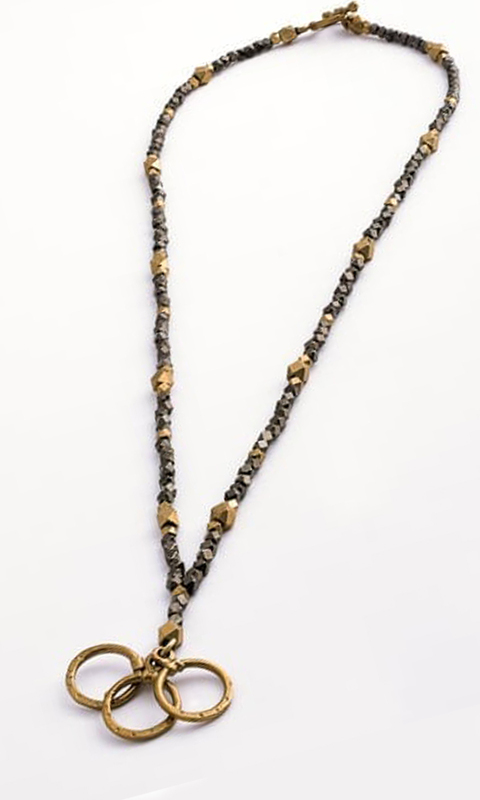 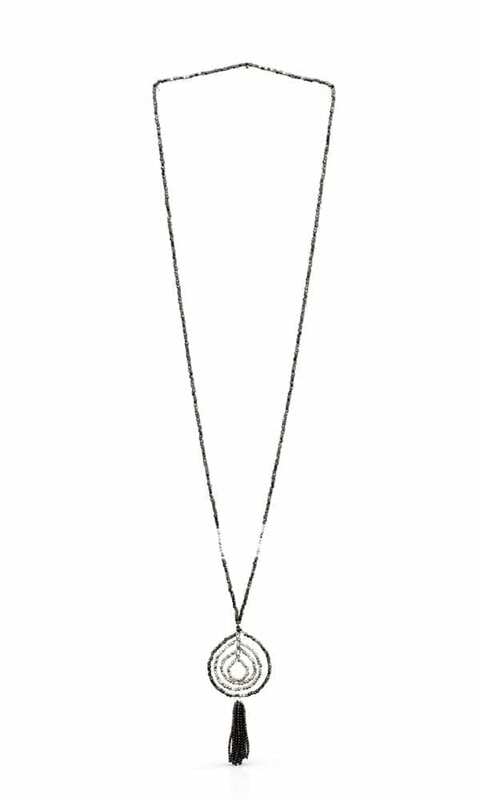 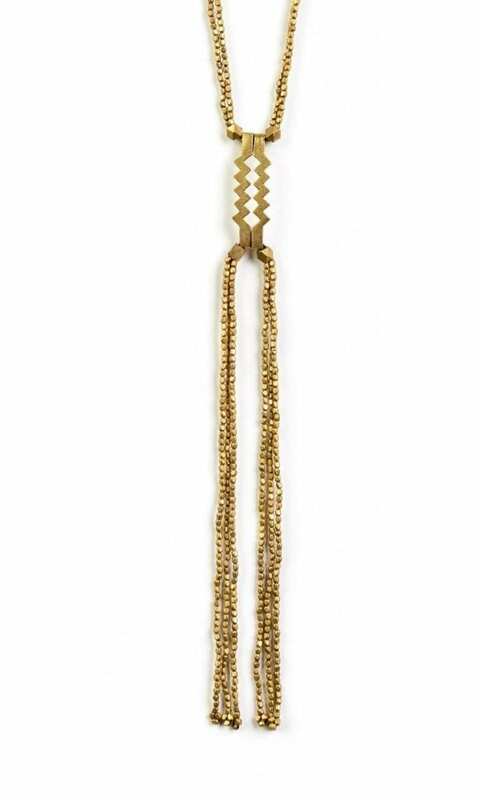 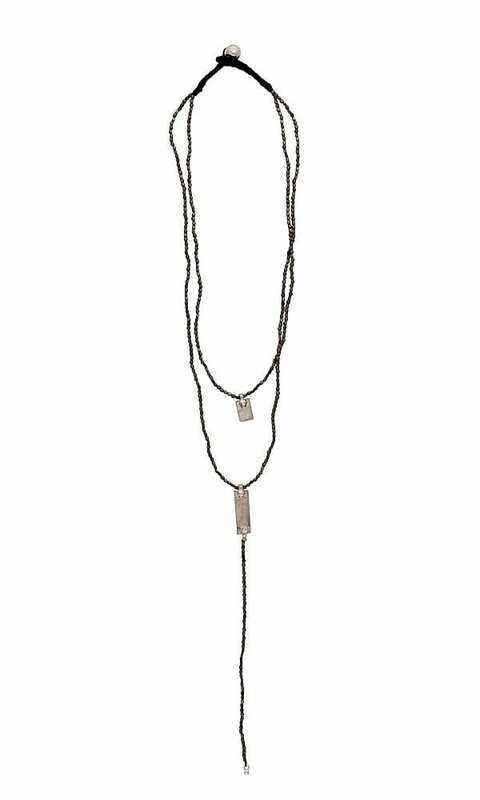 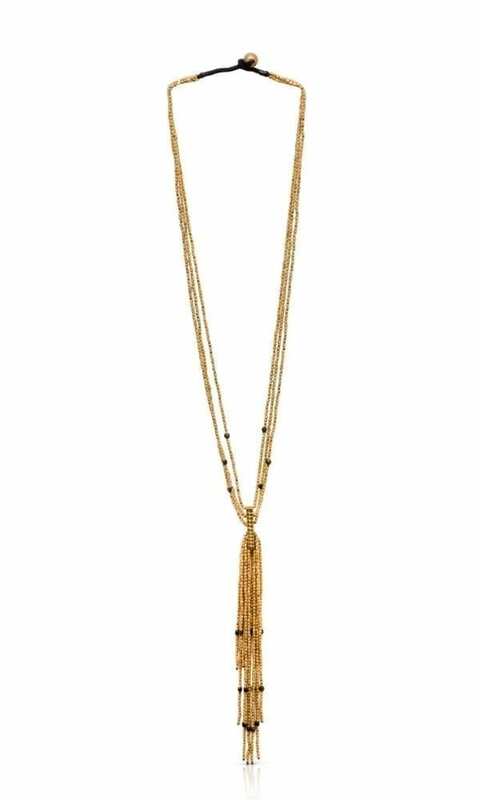 Gal Necklace is a piece of elegant statement jewelry with a unique linear pendant made of brass. 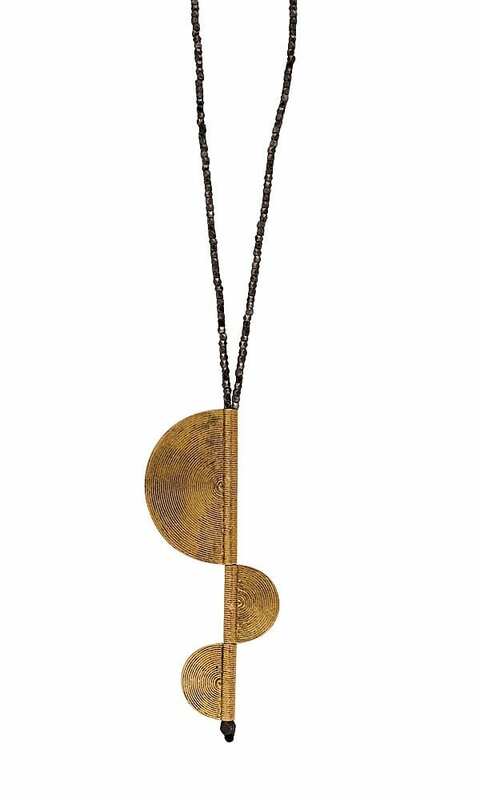 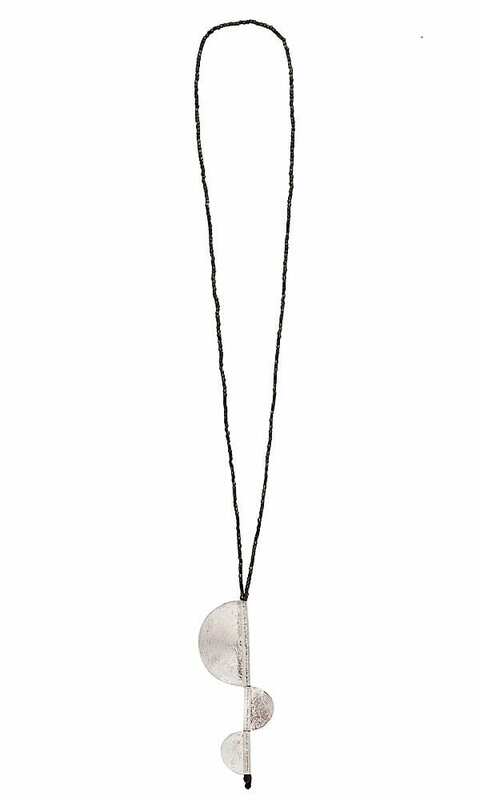 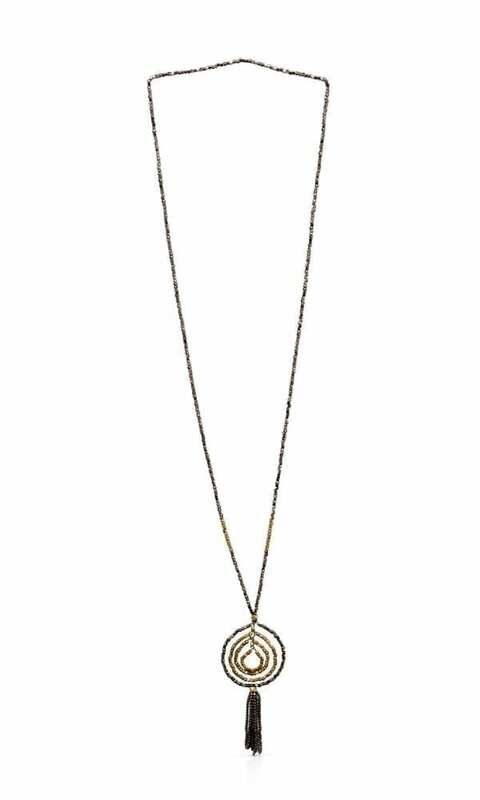 Three half circles in three different sizes create this unique pendant, hang of a delicate brass beads chain. 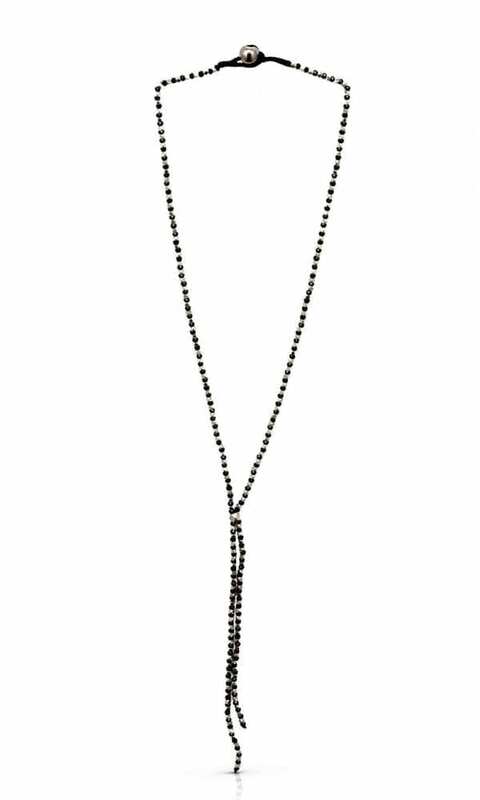 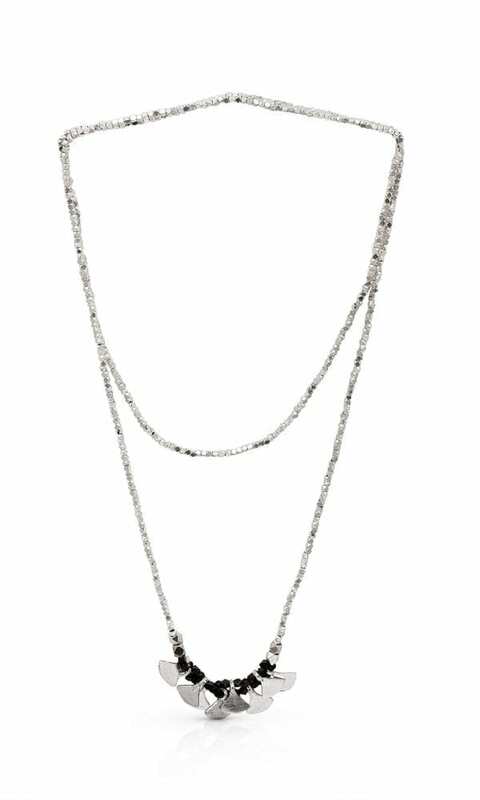 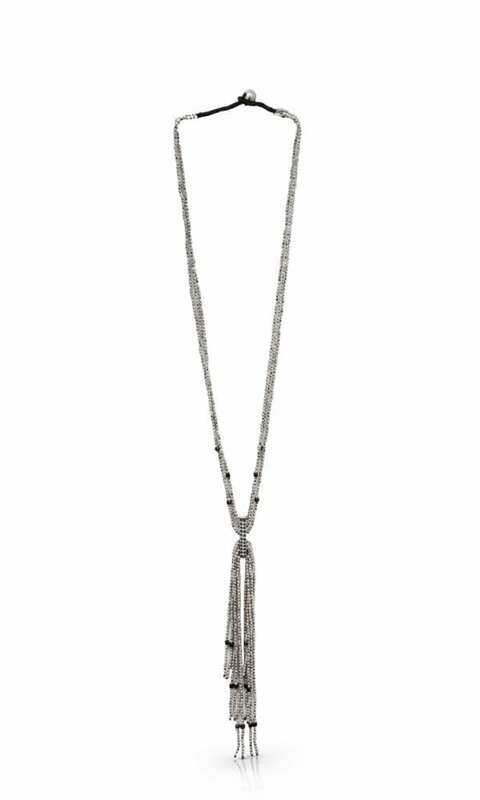 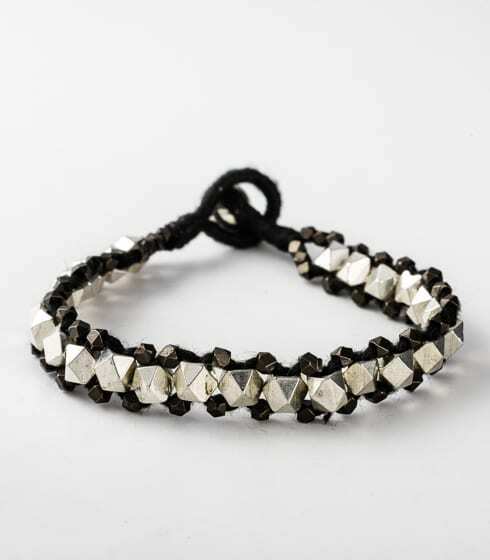 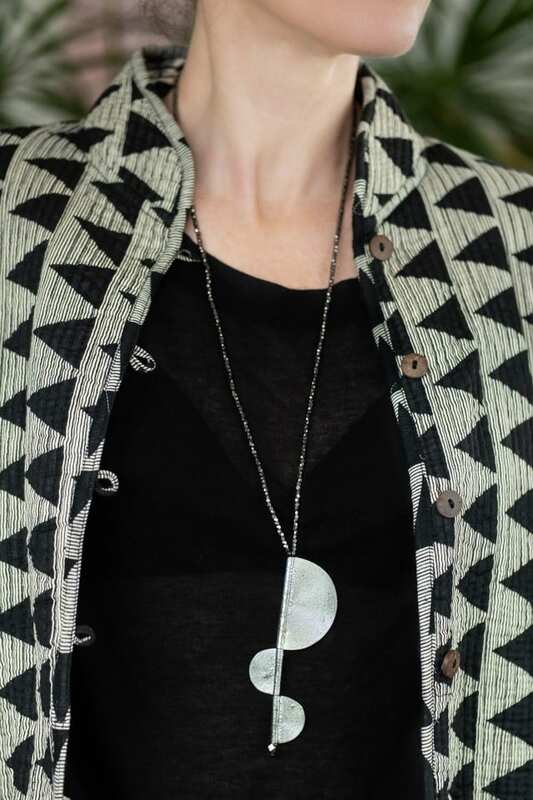 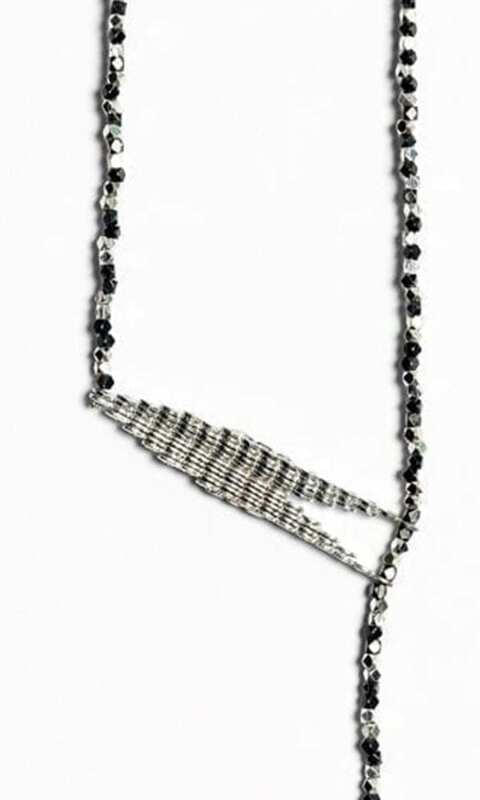 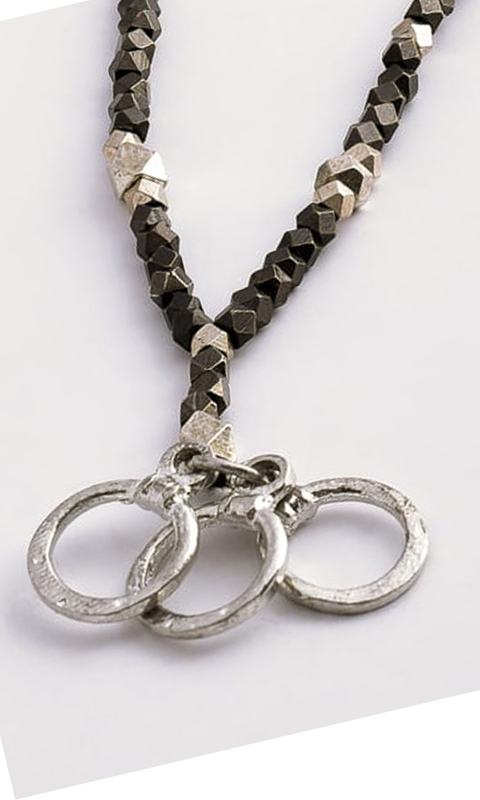 The Gal necklace is available in two color combinations: black plated and silver plated brass, black plated and gold-tone brass.